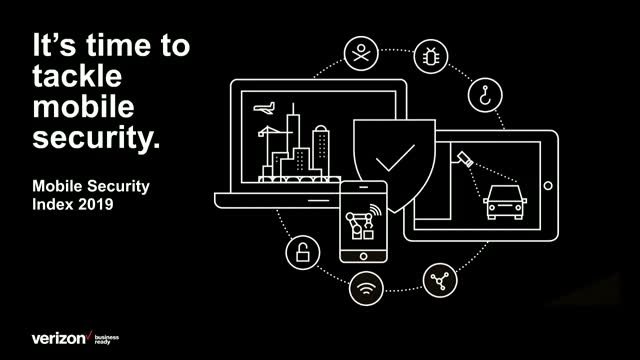 Join us—the Verizon Threat Research Advisory Center – for our Monthly Intelligence Briefing (MIB) to discuss the Mobile Security Index and the current cybersecurity threat landscape. Then tune in for an information-packed session brought to you by our very own Verizon Threat Research Advisory Center investigators, analysts, assessors, and researchers! Join us—the Verizon Threat Research Advisory Center – for our Monthly Intelligence Briefing (MIB) to discuss the current cybersecurity threat landscape. Join us—the Verizon Threat Research Advisory Center – for our Monthly Intelligence Briefing (MIB) to discuss the Data Breach Investigations Report (DBIR) and the current cybersecurity threat landscape. After spending time and money to roll out a unified communications and collaboration (UC&C) solution to their workforces, organizations are finding that the last piece of the puzzle—adoption-- can be as important to success as the technology itself. In a new study commissioned by Verizon, Wainhouse Research gathered insights from IT professionals on their perceptions, experiences and outcomes from using UC&C adoption services. We’ll talk about the results of the study, learnings from it and what you can do to help ensure the successful utilization of newly-deployed UC and collaboration services. Join us—the Verizon Threat Research Advisory Center – for our Monthly Intelligence Briefing (MIB) to discuss the Verizon Insider Threat Report and the current cybersecurity threat landscape. •Improves automation and efficiency on monitoring and incident response processes by mimicking and applying security analyst experience and intuition at unprecedented scale. •Automatically builds context and relationship between indicators of compromise (IOCs), their inferred Tactics, Techniques and Procedures (TTPs), and log or event data generated by their organization. •Transforms hundreds of millions of raw data events into tens of high confidence alerts, so analysts can focus on investigating qualified leads. This webinar will provide insight into what Verizon anticipates will be the most prolific cyber threats for 2019. Members of the Verizon Threat Research Advisory Team offer their outlook on social engineering trends for the next twelve months, summarizing thousands of man-hours spent in customer investigations, along with our dark web research, threat libraries, and identified cyber anomalies drawn from our vast IP network. We will explain how Verizon addresses these types of threats on behalf of our customers, and our top recommendations for ways that organizations can take proactive steps on their own to secure their network. Managed Services 2018 Vendor Assessment as well as the IDC study, Digital Transformation: Discover the Right Path to Avoid Hype and Disappointment. Plus, find out what your organization needs to do to become a digital leader and improve business outcomes. Participants will be able to download a complimentary copy of the IDC study, Digital Transformation: Discover the Right Path to Avoid Hype and Disappointment, and a Verizon authored decision-maker’s guide. Mr. Abdo, Research Vice President in the Telecommunications group, covers the evolution of the Telco Cloud Ecosystem as well as the emerging Virtualized Enterprise Networking services. His primary focus areas include Service Provider SD WAN and Managed Services, and emerging NFV-based Virtual Networking Services as well as other Managed WAN Services. In the Hosting & Cloud segment, Ghassan covers Service Provider Managed Hosting services, including Hybrid Managed Private/Public Cloud Services, Colocation Services, Secure Cloud Connect and CDN services. The session will be moderated by Danny Johnson, 20+ year veteran in the technology industry. He is a seasoned executive possessing experience in software development, engineering, sales, consulting, product development, and marketing. Danny has started and launched innovative products and solutions within multi-billion dollar markets and is currently the head of product marketing for Verizon where he shares responsibility for the profitable growth of Verizon’s Strategic Network Portfolio. Network and security are more critical than ever, but they need to be application centric and a virtualized extension of your business. Learn how to re-architect your cloud to drive better business results and take advantage of technologies like Software Defined Networking (SDN), Network Function Virtualization (NFV), and Everything-as-a-Service (XaaS). We’ll discuss how cloud solutions can enable you to take control of your digital strategies and form the foundation for your enterprise’s Digital Transformation. Delivering the connected world. Simply. Securely. Reliably. We deliver the promise of the connected world. In today’s rapidly transforming environment, we integrate, secure and operate the networks, and mobile technologies that help businesses and governments around the globe expand reach, increase productivity, improve agility, and maintain longevity. Our solutions across Connectivity, Security and Advanced Business Communications are designed to help enterprises pursue new possibilities and create entirely new revenue streams – more efficiently than ever.